← Don’t set your welders up for injury using the proper trades cart can help! Be smart about cleaning products. When in an office setting, you rarely think about the kinds of cleaning products that are on the cleaning carts of the housekeeping staff. However, you might be doing your health a disservice. It’s important that building managers educate themselves on the green cleaning products available for businesses. 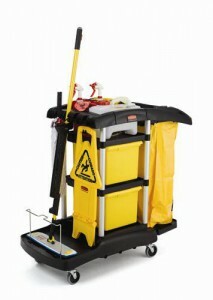 According to Sourceable, some cleaning products can have hazardous materials that can ultimately affect one’s health. 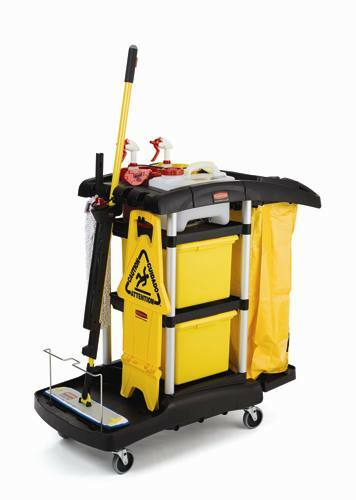 Building managers may want to think about the kinds of products they’re having their cleaning staff use and consider looking into other options. As workers spend a large portion of their days in the office, it’s important that their safety is a priority. The practice of “greening” up your cleaning products is getting a lot of attention. In fact, the government is recommending it. According to the Environmental Protection Agency, strong chemicals in cleaning products can not only be unhealthy, but also affect the environment. Some can be harder to break down in the environment, leading to pollutants. It’s important that you keep these things in mind when choosing a cleaning product. One of the other benefits the EPA points out is although the up-front costs may seem more expensive, it could save more money in the long run to use green cleaning products, since you might have to spend money to remove the harsher chemicals. This entry was posted in Cleaning and tagged cleaning products. Bookmark the permalink.